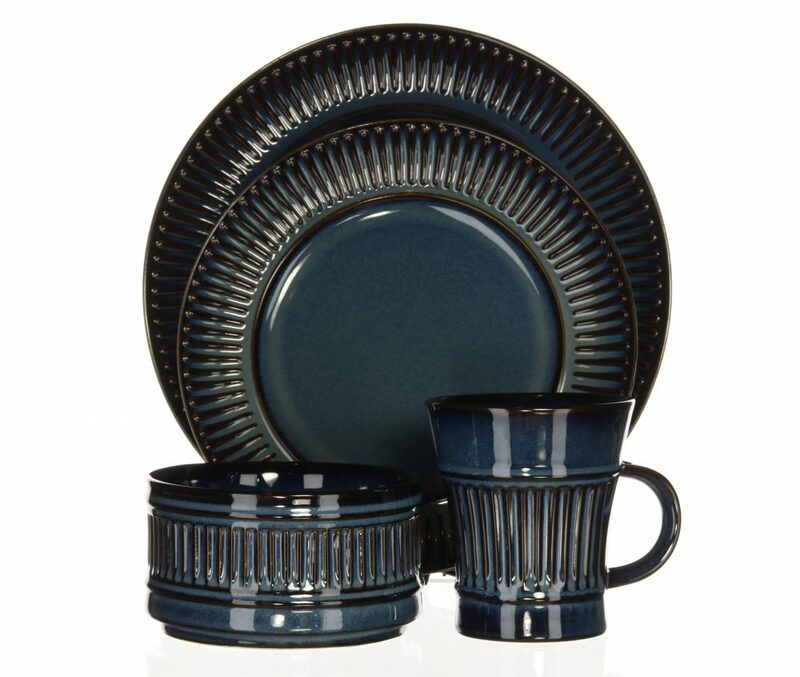 The Dansk Flamestone Denim 4-Piece Place Setting is a striking departure from the original Dansk Scandanvian designs like Kobenstyle. 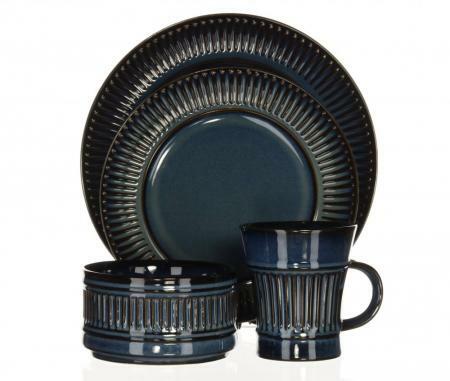 Flamestone Denim features a rich deep blue glaze highlighted by warm caramel on the edges and ribs. 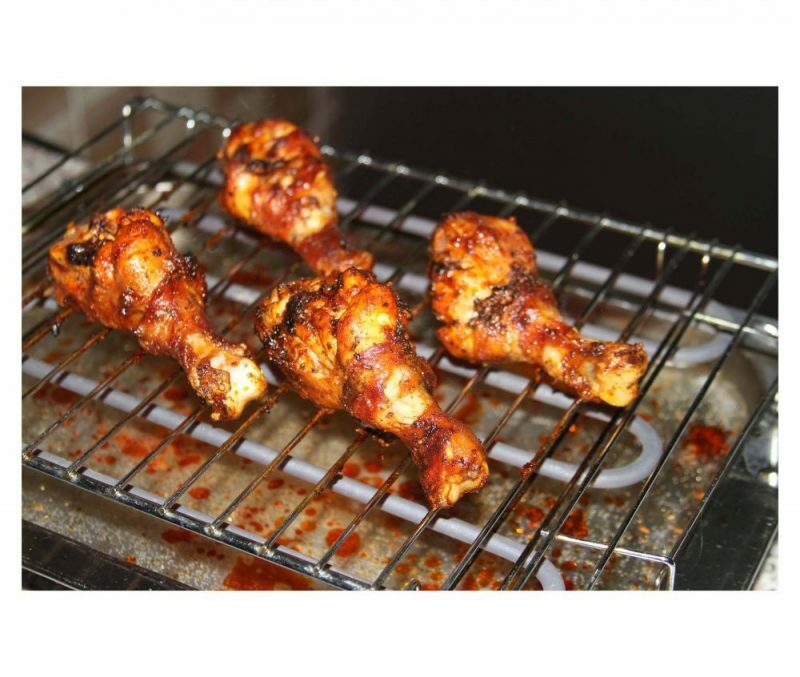 Furthermore, Dansk manufactures Flamestone dinnerware from sturdy stoneware so it will stand up to everyday use on the table, in the dishwasher and the microwave. 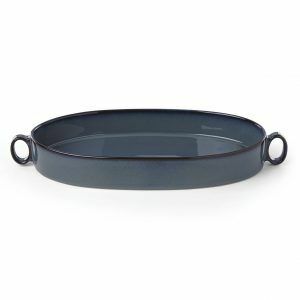 Aside from being family-friendly casual dinnerware, Flamestone Denim dinnerware is decorative enough for use on special occasions when entertaining guests. 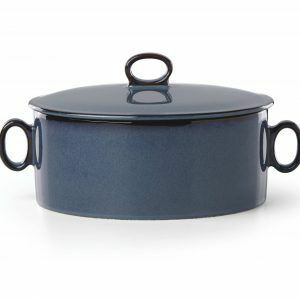 For a complete oven to table set you can combine the Generations II Nordic Blue Roaster and Casserole. They truly make a beautiful combination.